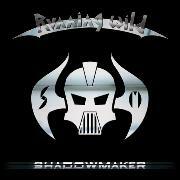 RUNNING WILD was formed in 1976, and have achieved a unique status. They are still attracting new fans, heralded by the ubiquitous Rock´n´Rolf Kasparek, in spite of soon being a 40 year old band. From the highly acclaimed “Under Jolly Roger” in 1983 onwards the band adopted a highly fashionable pirate image, starting out in more leather and seventies style. Being an essential part of the German metal scene in the eighties they managed to stay on top of their game for ten albums, or until 2002. The many lineup changes must have had some effect on the band, that had boosted members like drummers Jörg Michael (ex. GRAVE DIGGER, ex. RAGE, STRATOVARIUS) and Stefan Schwarzmann (ex. UDO, ACCEPT). The weak “Rogues on Vogue” (2005) was believed to be the final nail in the coffin, not least since the band recorded their farewell gig at Wacken as “The Final Jolly Roger” in 2009. But, alas, you can´t keep a good murderer down. In October 2011 it was announced that a much touted new album would appear in 2012, and the result? As a whole the album is lighter than previous outings. The frantic riffing has been put in the back of the mix, but the voice is still there and as commanding as ever. They use choirs, and there is some features of basic thump-along rock/metal that I normally associate with the likes of MOTÖRHEAD. Opener “Piece of the Action” is formulaic and gentler than past openers. The songs that will appeal to the fans of old are “Riding on the Tide”, complete with a THIN LIZZY-esque solo, the archetypal “I Am What I Am”, and its sibling “”Black Shadow”. The title track is more of the same but not quite up to par with the best, and the same goes for “Sailing Fire”. On the downside we have the Eurovision Song Contest variety of the drab “Me and the Boys, probably a leftover from Rolf´s other (glam) band TOXIC TASTE. That kind of nursery rhyme will get the band in trouble! The ending of the sweeping epic “Dracula” lacks the spark and the prime refrain that has been an inseparable part of the band. Having followed them from 1983 onwards I can say that this is pretty decent, it´s at least far better than the much maligned “Rogues on Vogue”. But I think they will have to repeat the glories of old like “Port Royal” and “Death or Glory”, which there are traces of here, to become a mainstay again.